rigole de récupération des jus. Cette petite planche à découper artisanale en bois debout est réalisée par assemblage de cubes de hêtre et érable avec une bande « patchwork » en noyer, chêne et merisier. 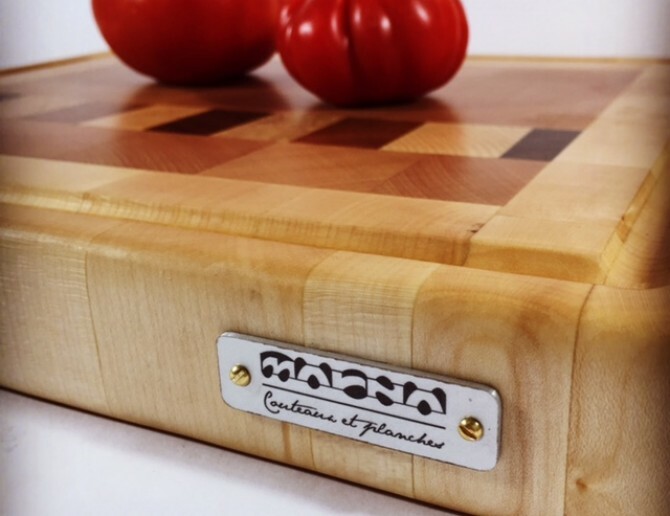 This small wooden cutting board made of standing wood is made by assembling beech and maple cubes. 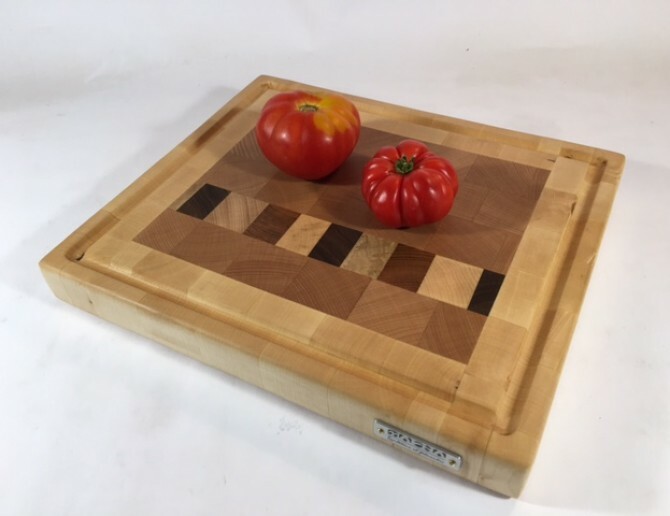 This small wooden cutting board made of standing wood is made by assembling beech and maple cubes with a patchwork band in walnut, oak and cherry. 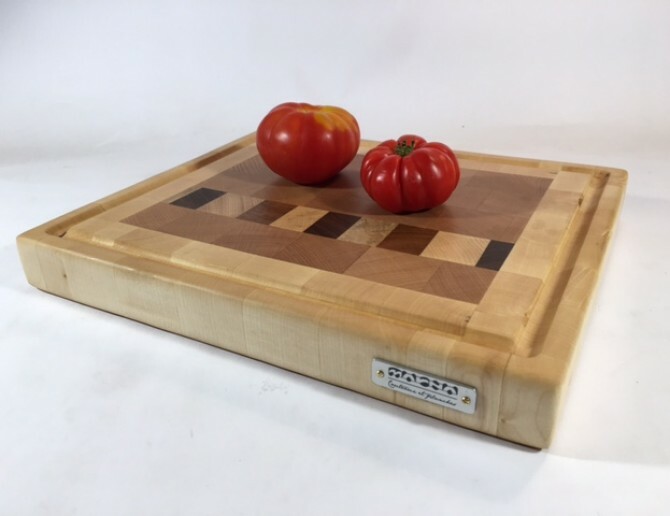 This board will be perfect in the kitchen to cut your meats and vegetables, but also to table at the time of the plate of sausages or cold meats. In order to keep your wooden kitchen board as comfortable as possible, consider reserving one side for cutting and another for presentation. Side finishing, the plate was polished and then received several layers of an oil, also suitable for food contact. This oil is completely natural and does not contain any added siccative.